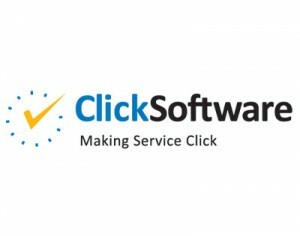 ClickSoftware, a leading provider of enterprise-level automated mobile workforce management solutions, has announced the release of ServiceOptimization 8.1.9 with ClickButler technology, an extensive enhancement offering improved context-aware computing; more embedded artificial intelligence (AI); and automation. The new tools provided in the update make management of customer calls and field resources more easy and efficient to manage for supervisors and dispatchers. Smart virtual personal assistants created by ClickButler can serve in all business roles across the service chain and make proactive decisions based on learned behavior and specific user needs. The smart PAs also work to ensure compliance with company and governmental regulations while providing automated communication with customers, peers, and managers. This new tool automation works to directly improve customer care, save time, and minimize potentially costly errors. “This new release is all about making your service business more intelligent, not just more efficient. Artificial Intelligence has always been an important part of our solutions – it is one reason why we are the market leader and our customers achieve such astounding results. This latest version sees that intelligence extended through a host of new functions designed to assist back office and mobile workers in delivering remarkable customer experiences to those at the end of the service chain. The solution-wide use of context awareness and artificial intelligence in ServiceOptimization 8.1.9 underpins our vision to enable organizations to achieve both outstanding customer experience and operational excellence,” Dr. Moshe BenBassat, CEO and chairman of ClickSoftware, said. • Automated shift and overtime management with mobile, real-time shift viewing and scheduling swapping.